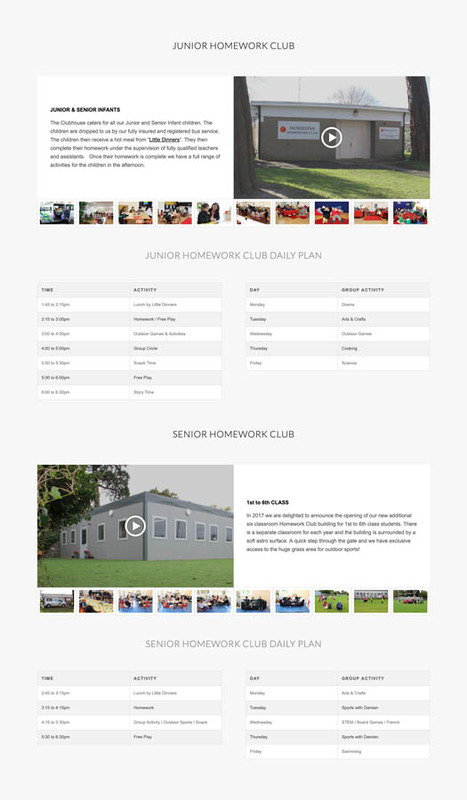 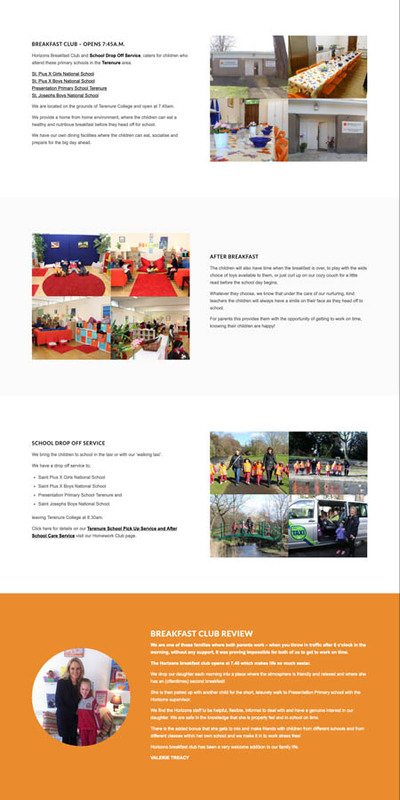 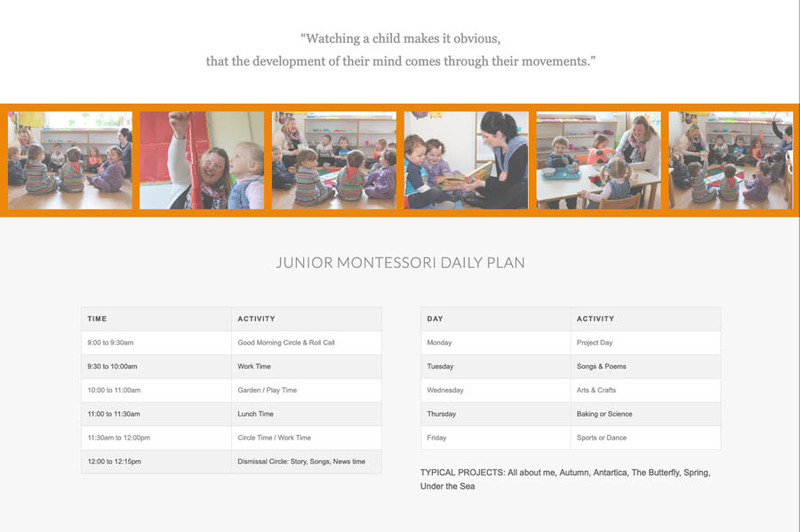 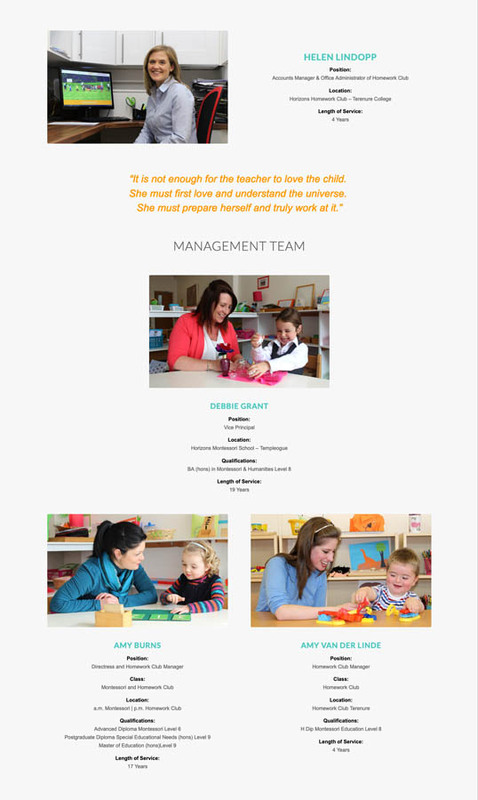 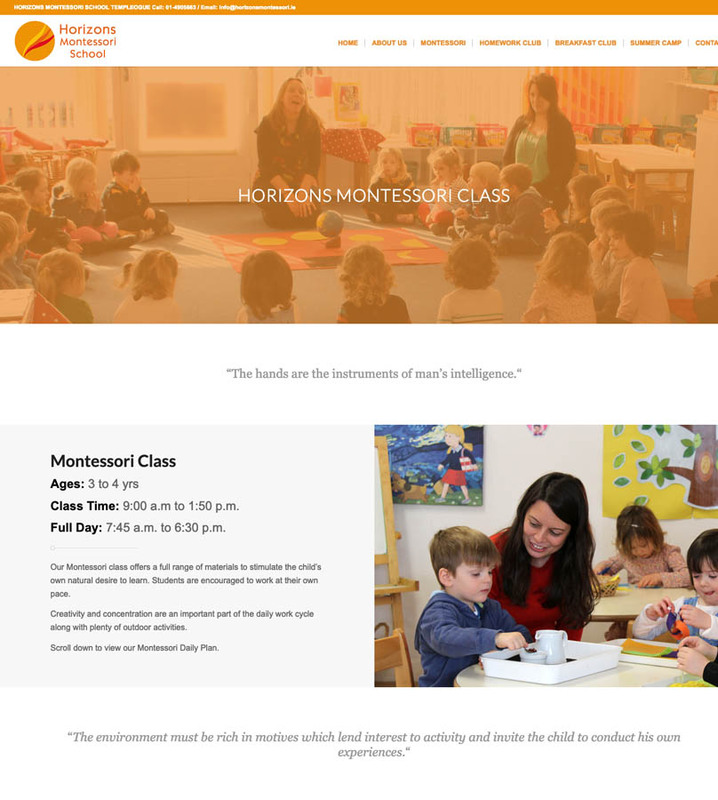 An industry leader providing Montessori, Full Day Care, Summer Camp, Homework Club and Breakfast Club. 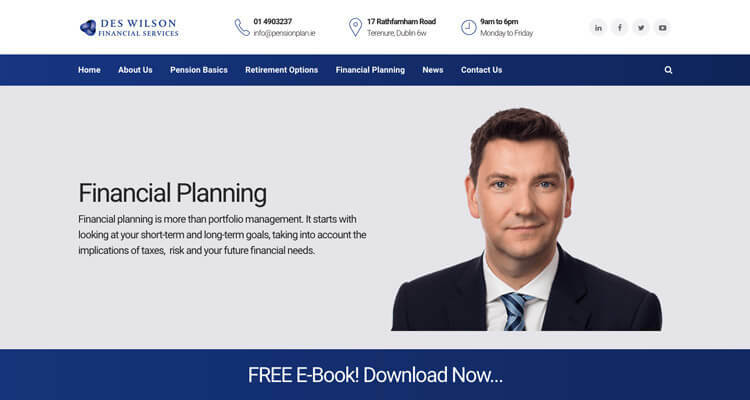 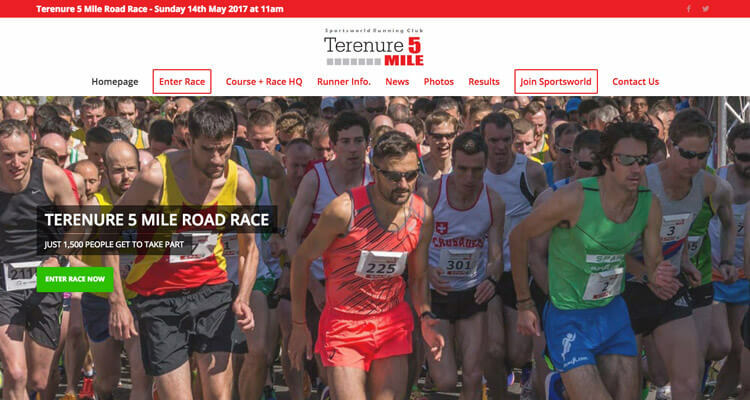 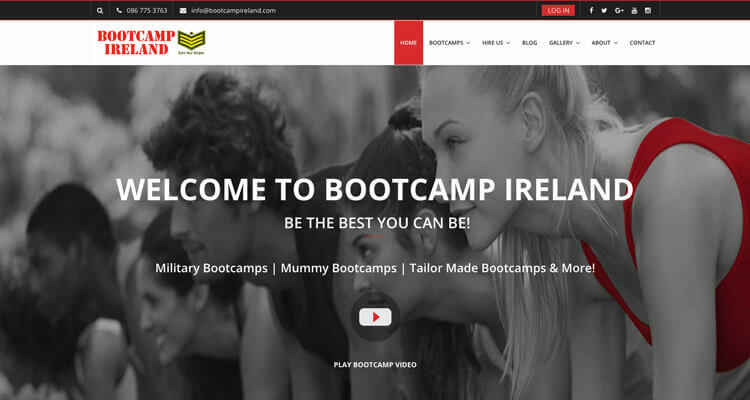 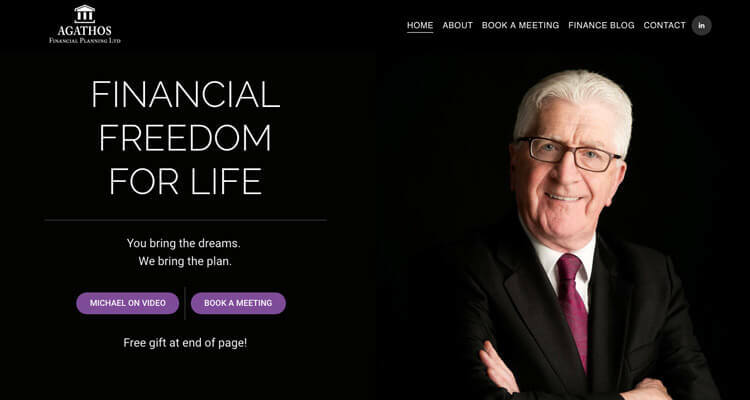 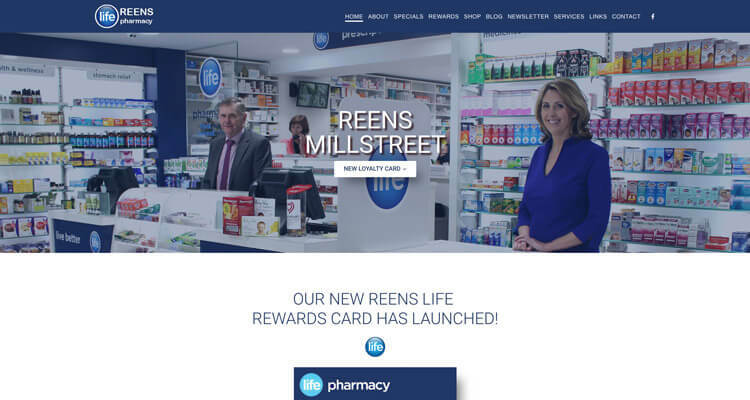 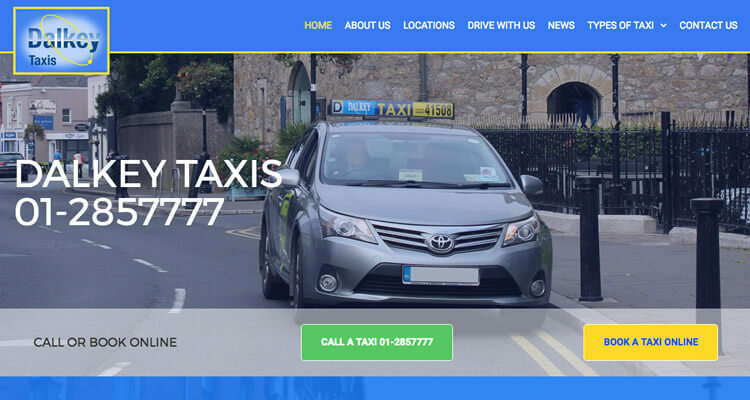 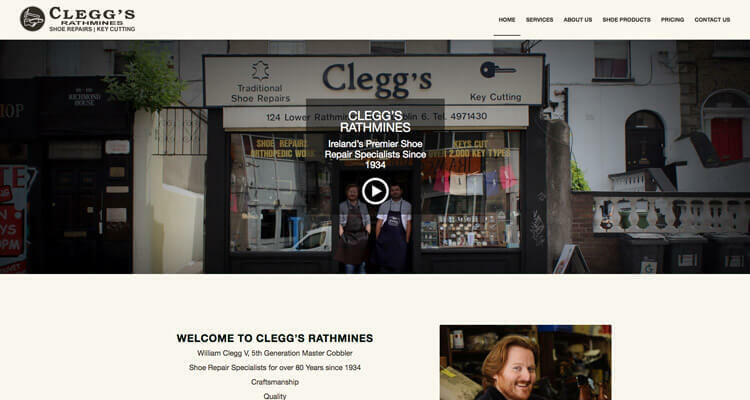 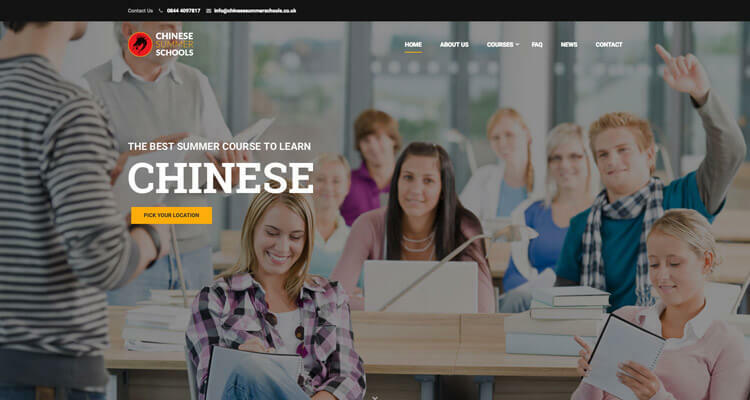 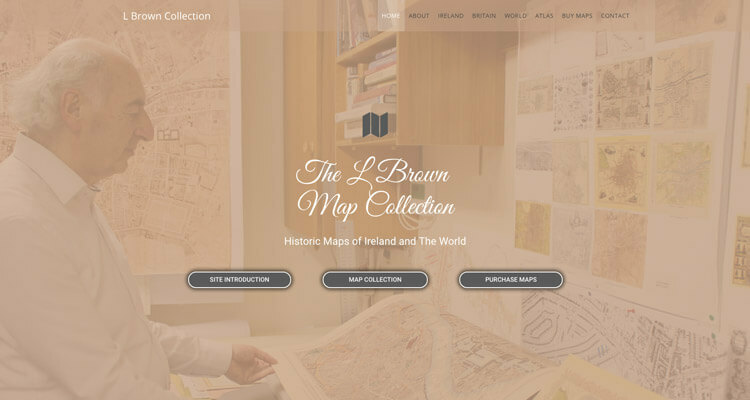 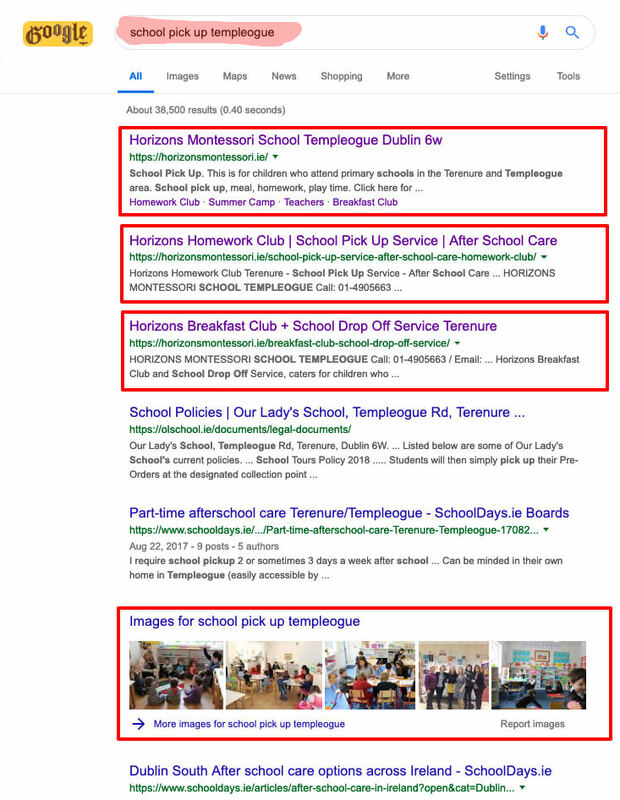 It has two locations, Templeogue and Terenure in Dublin. 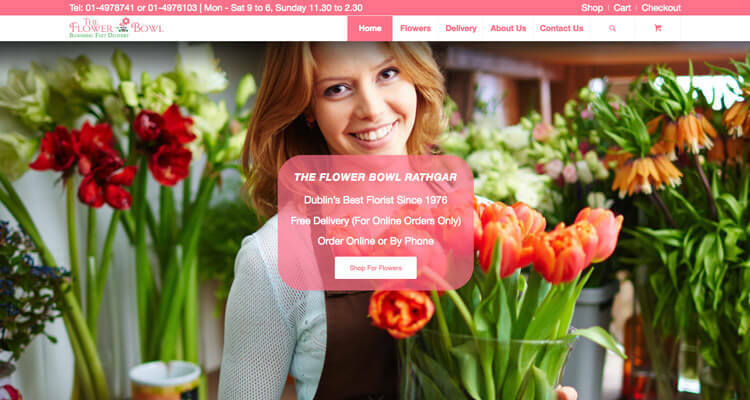 Having online payments increases conversion rates, attendance, sales and profitability. The payment gateway used charges 1.4% plus 25 cents per transaction. 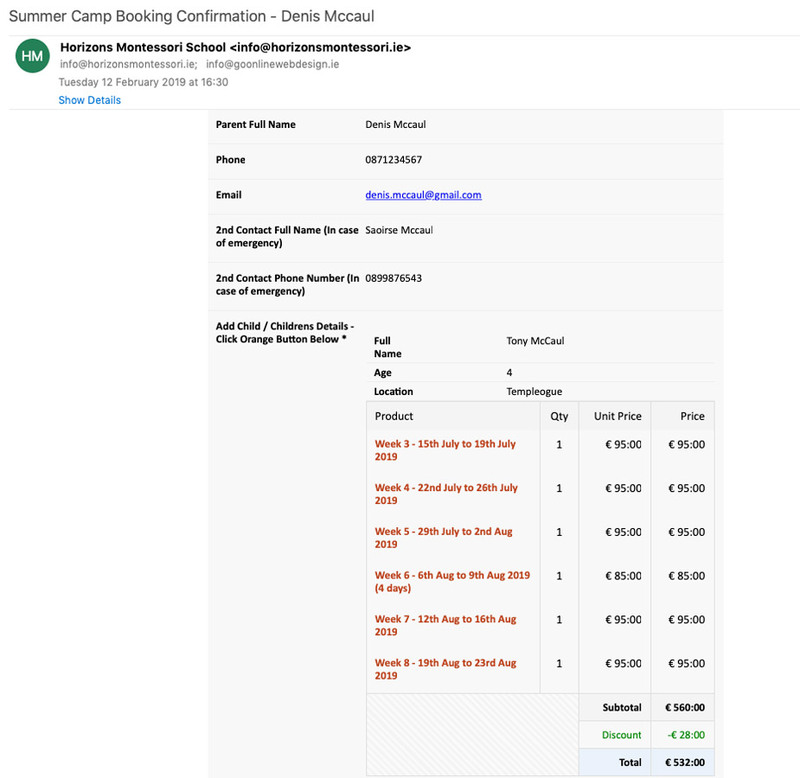 So for an example €110 booking, the school gets €108:21. 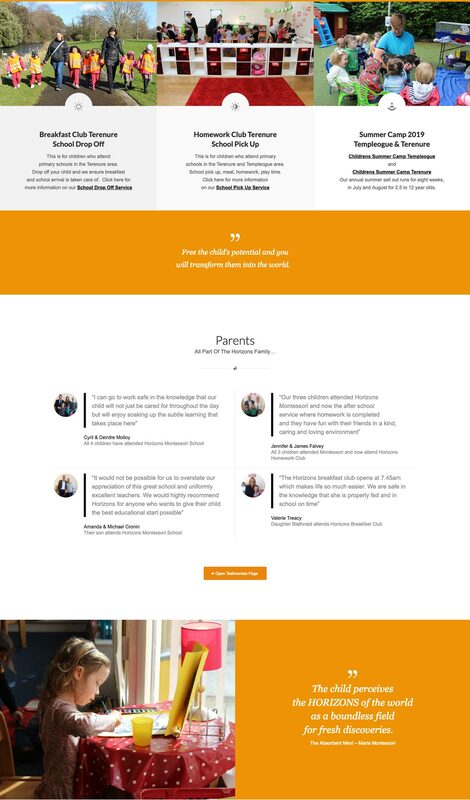 The costs of the development work were covered in sales on the first day of going live. 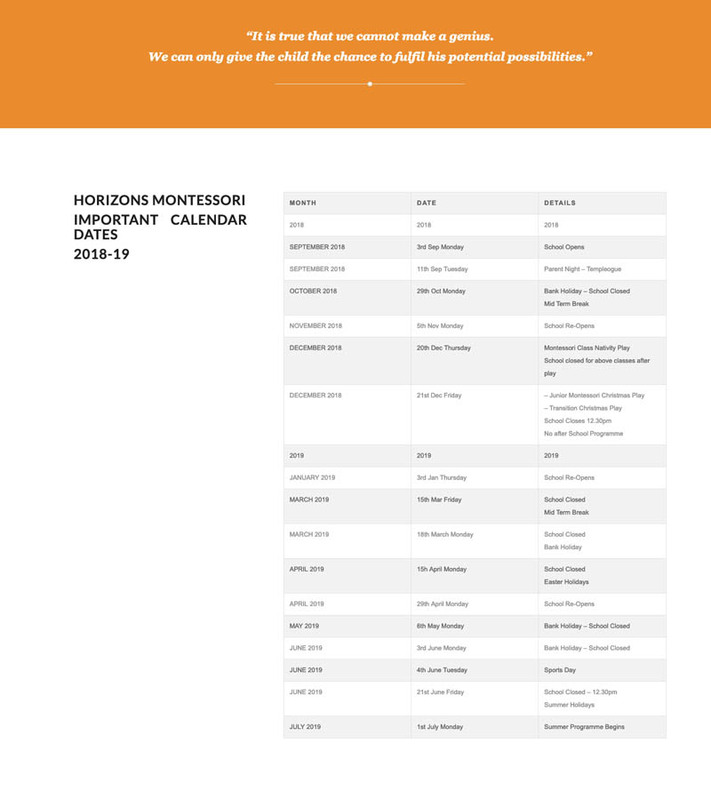 These first sales were to parents who did not have children already attending. 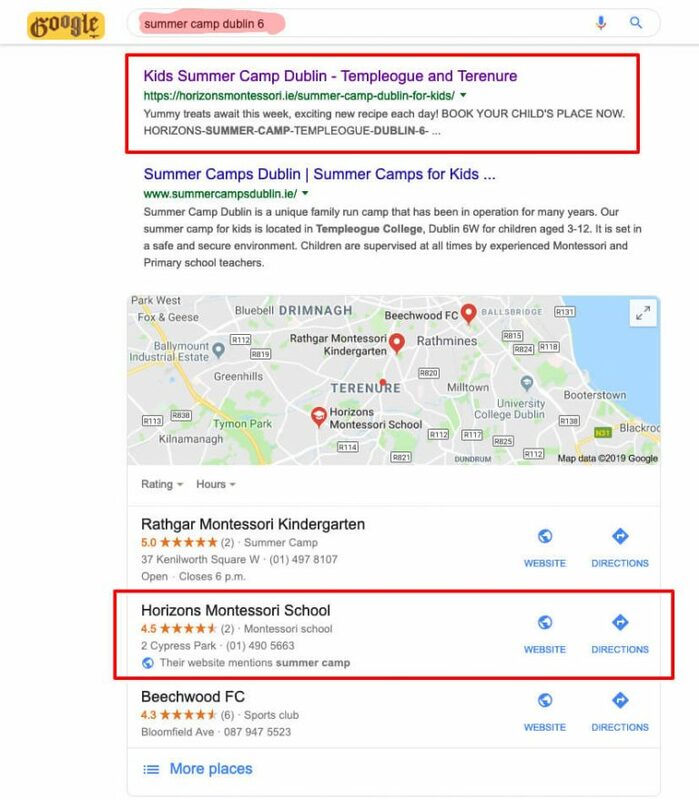 They found the summer camp page and booking form through Google Search. 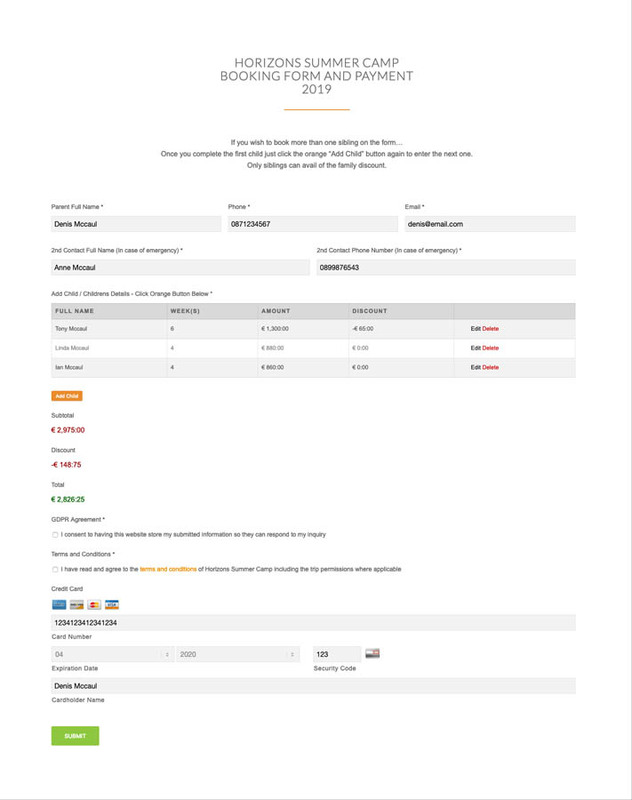 Here we show the payments form working live on the website. Once we submit the form you will see the email that is generated to the school and parent. 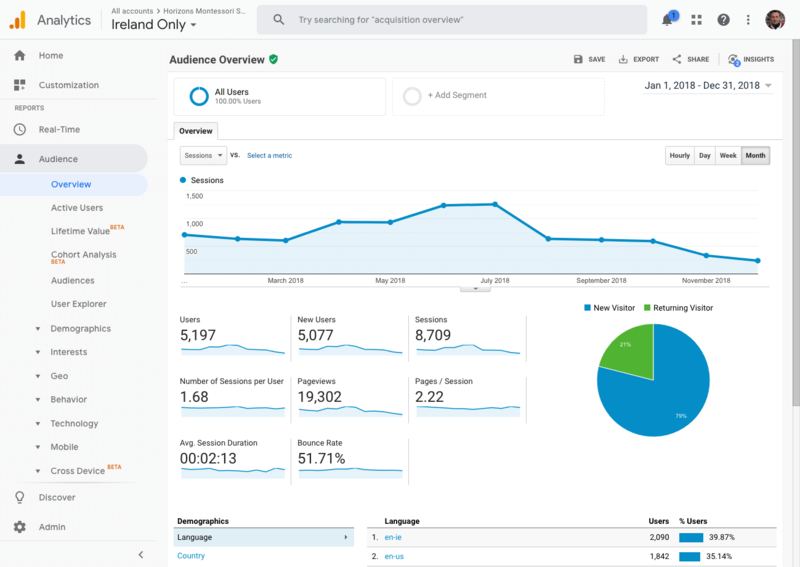 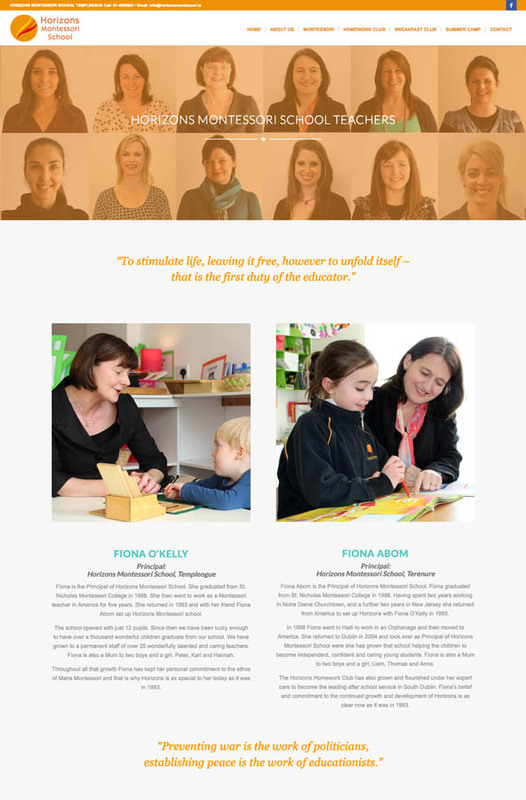 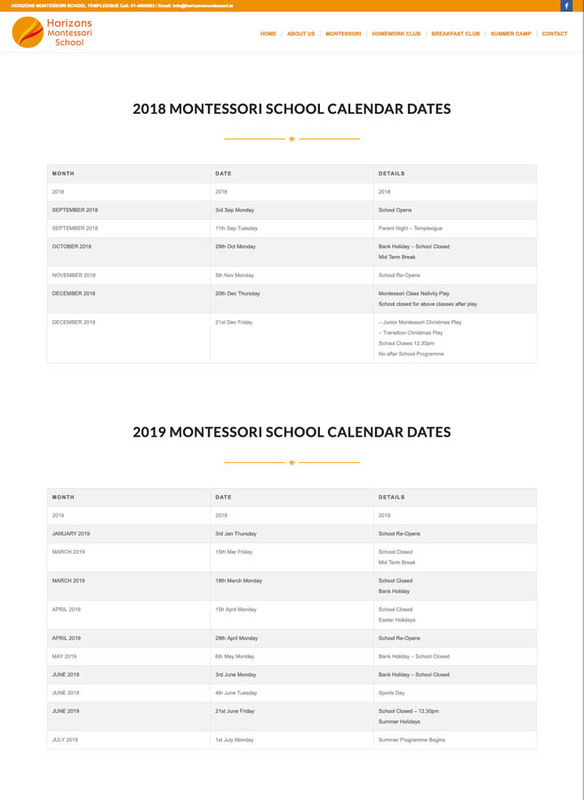 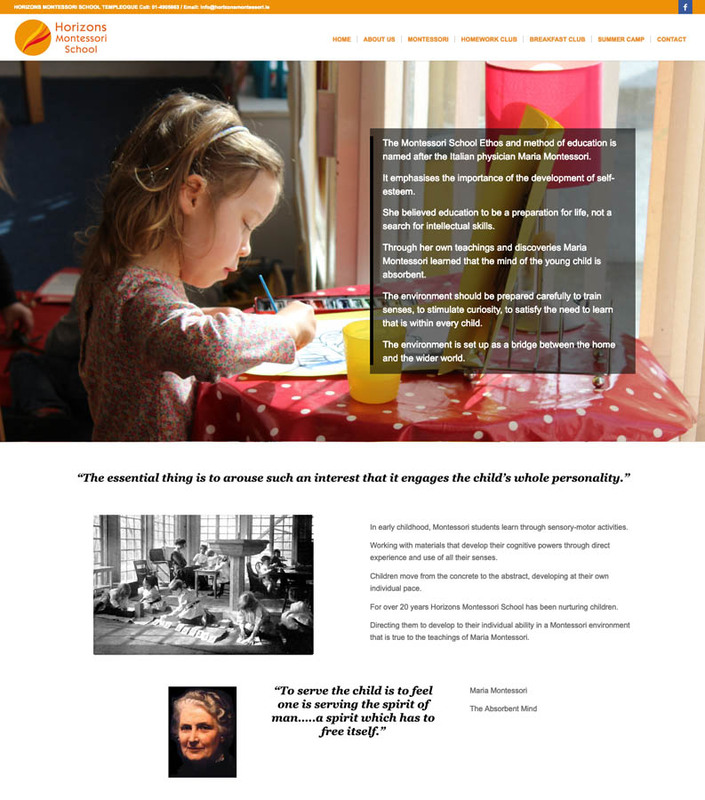 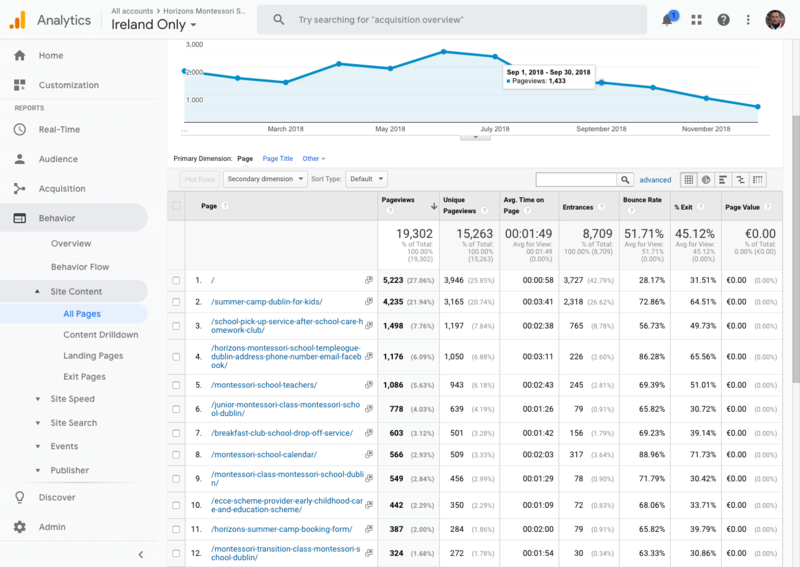 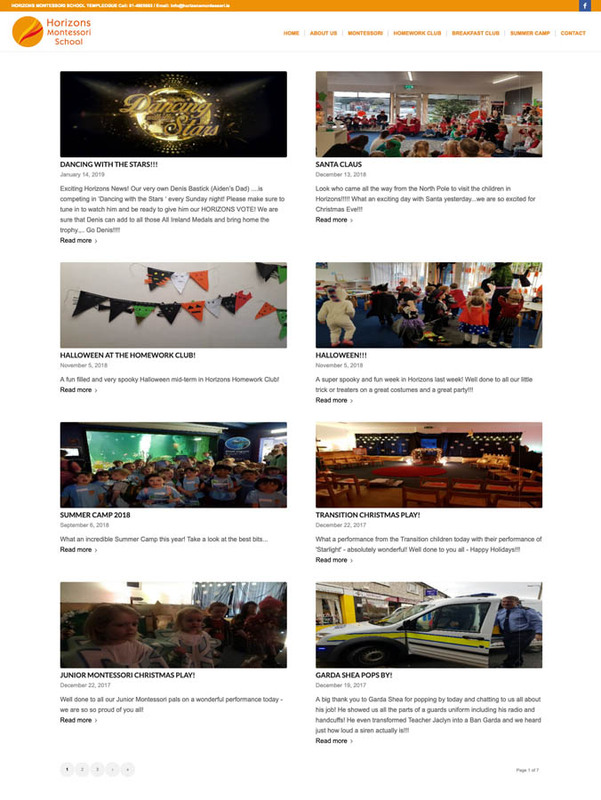 These are the horizonsmontessori.ie website visitor statistics for the calendar year Jan to Dec 2018. 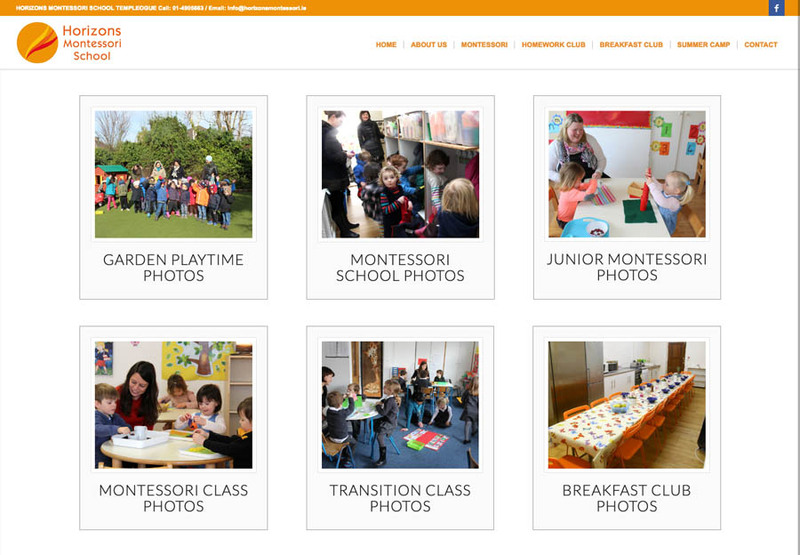 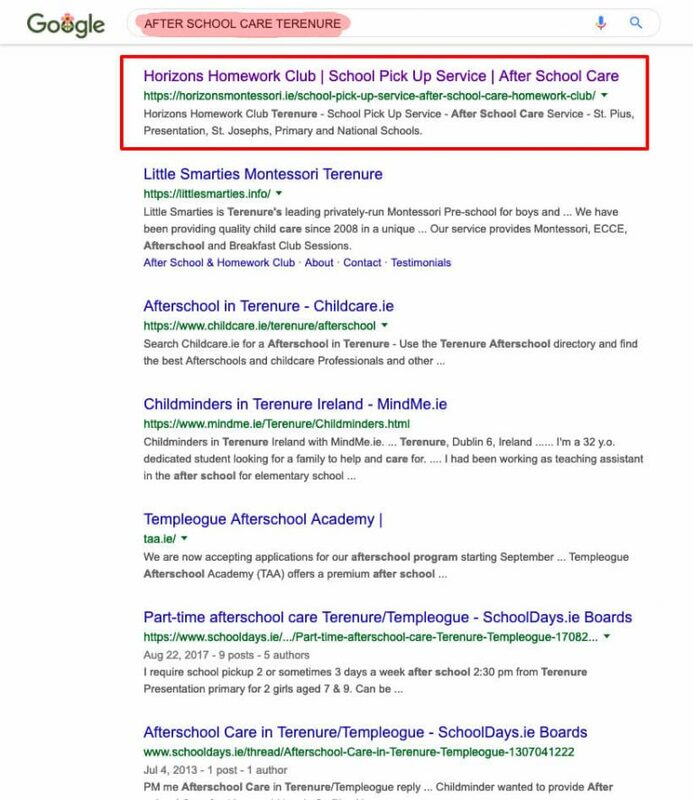 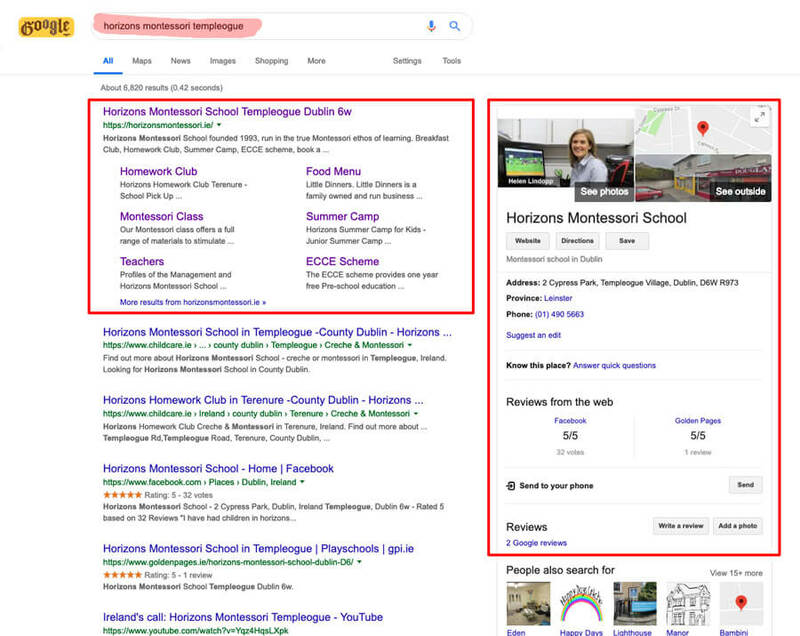 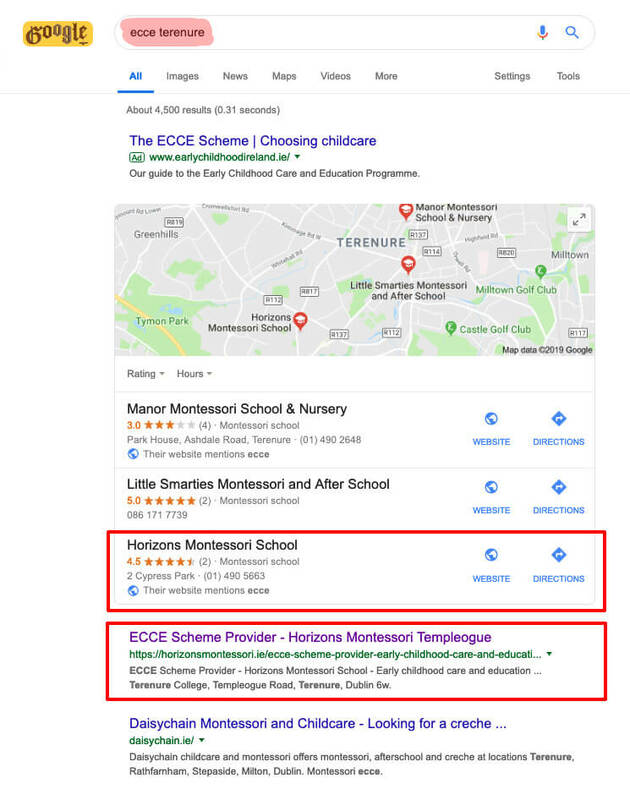 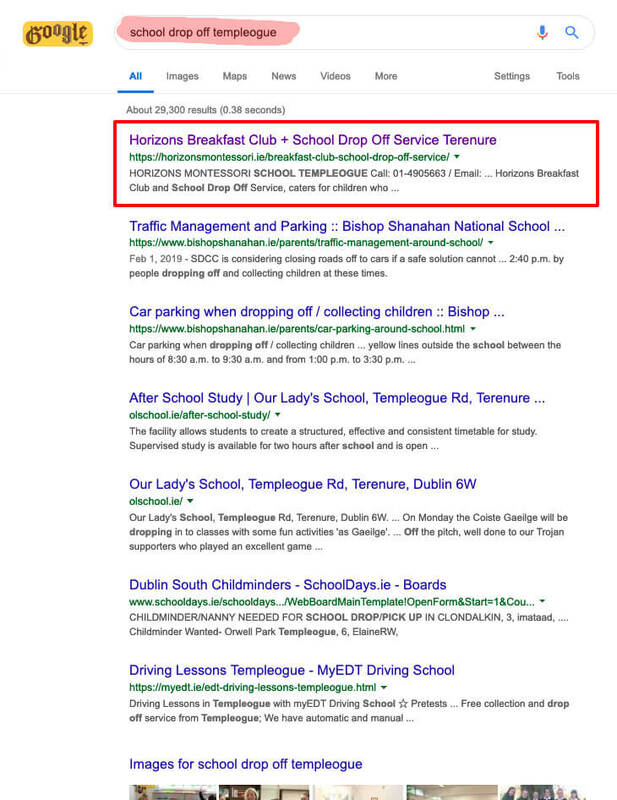 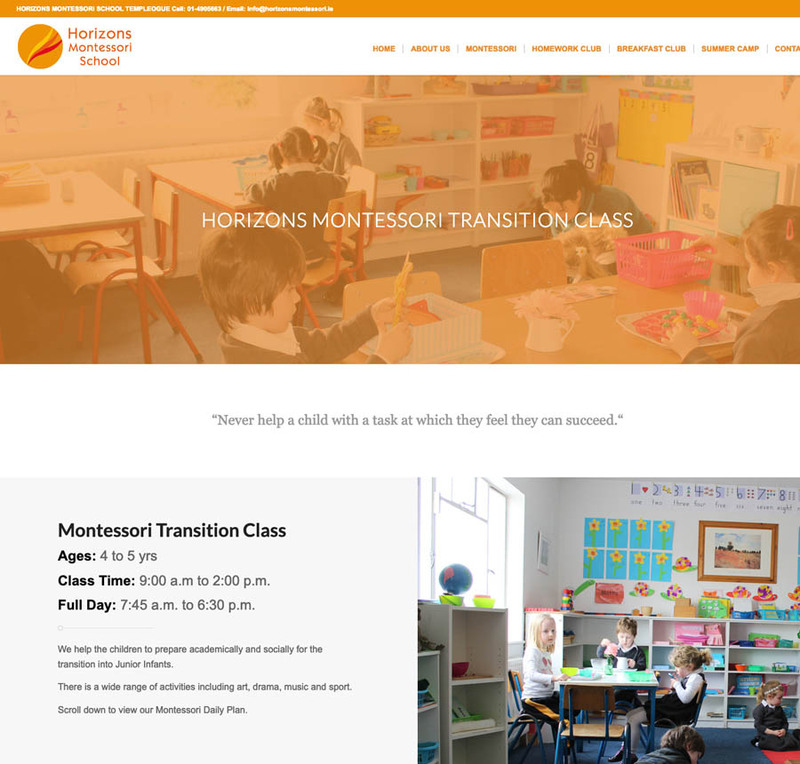 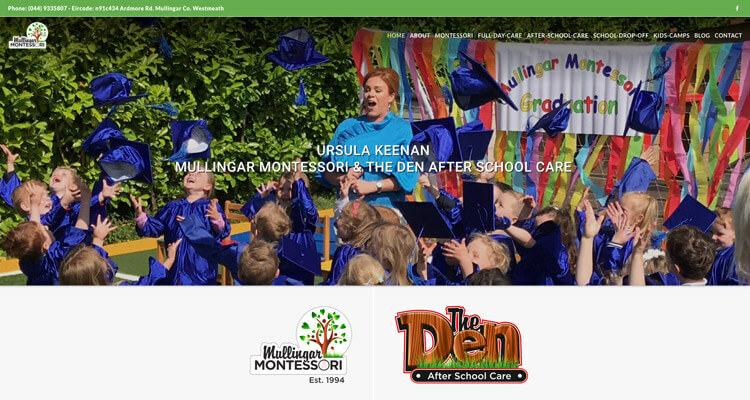 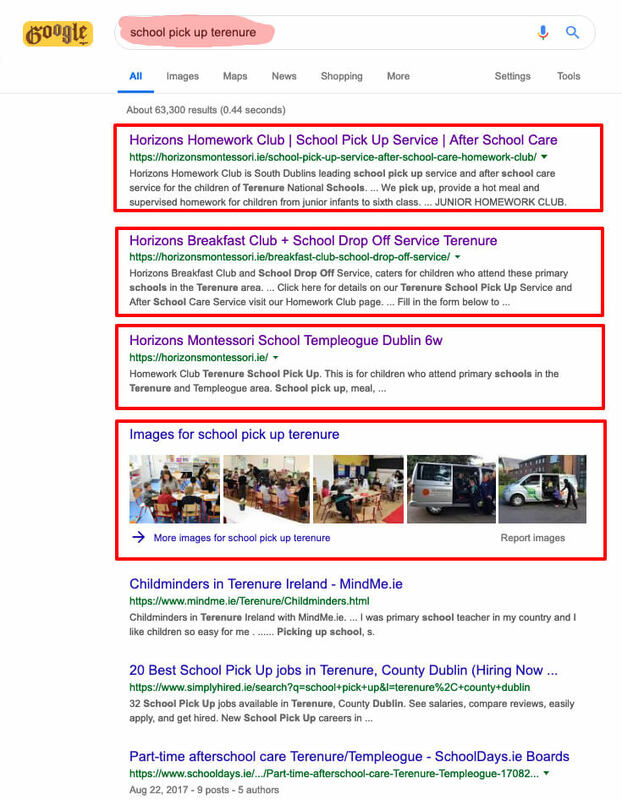 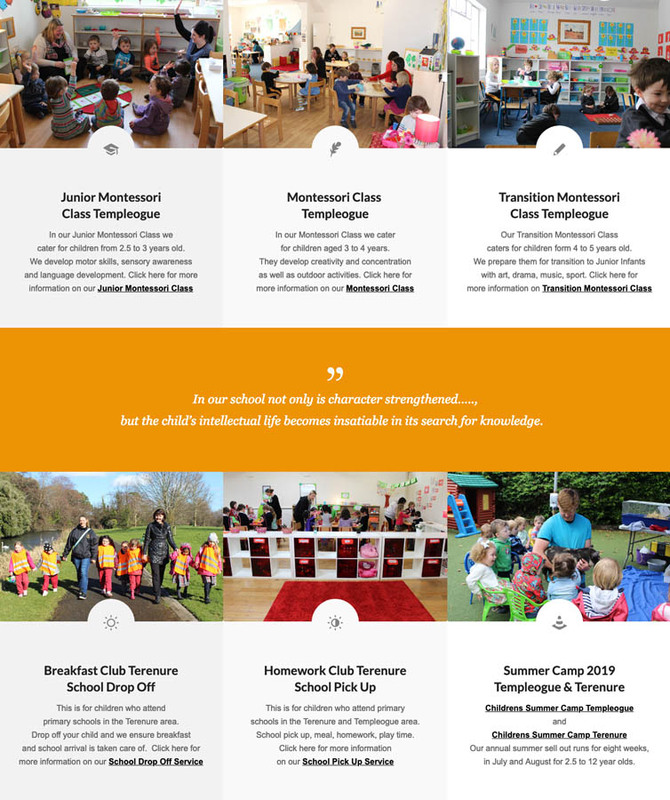 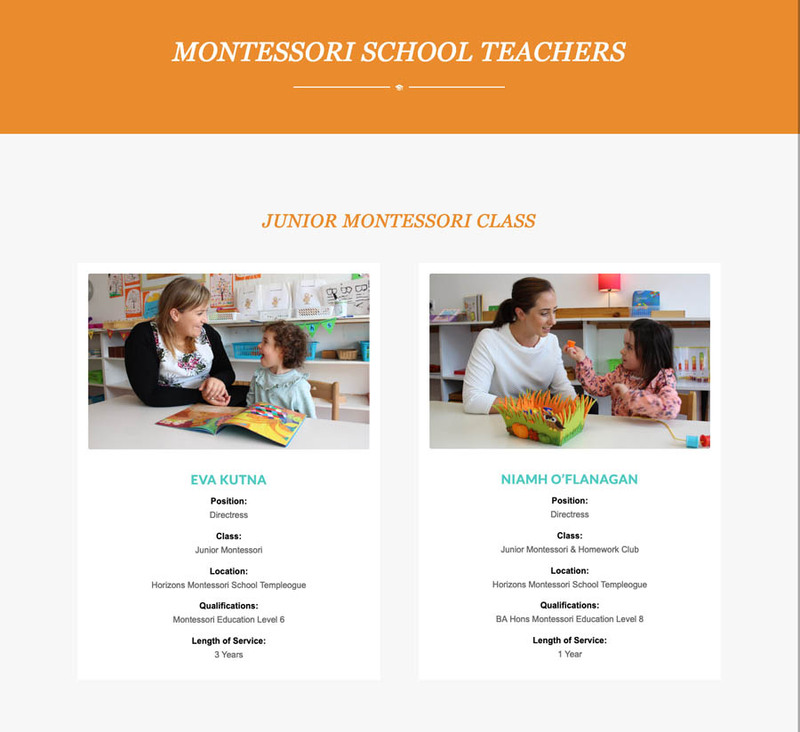 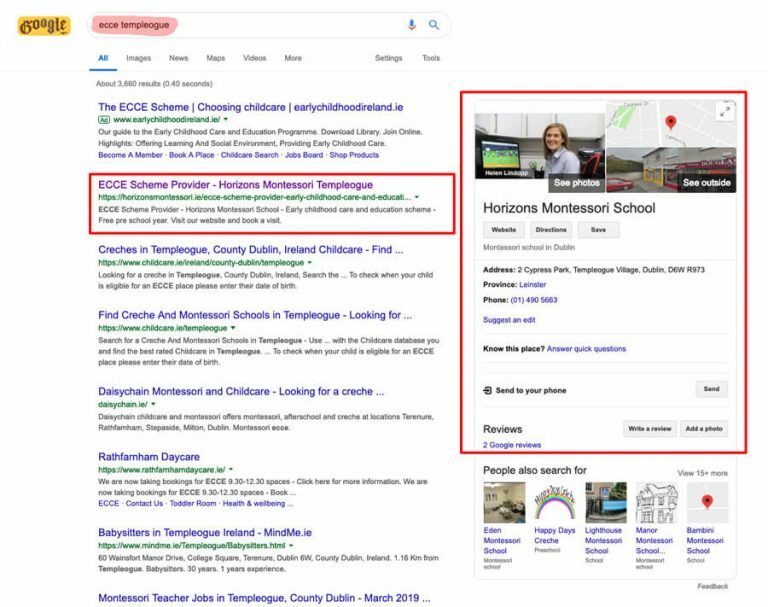 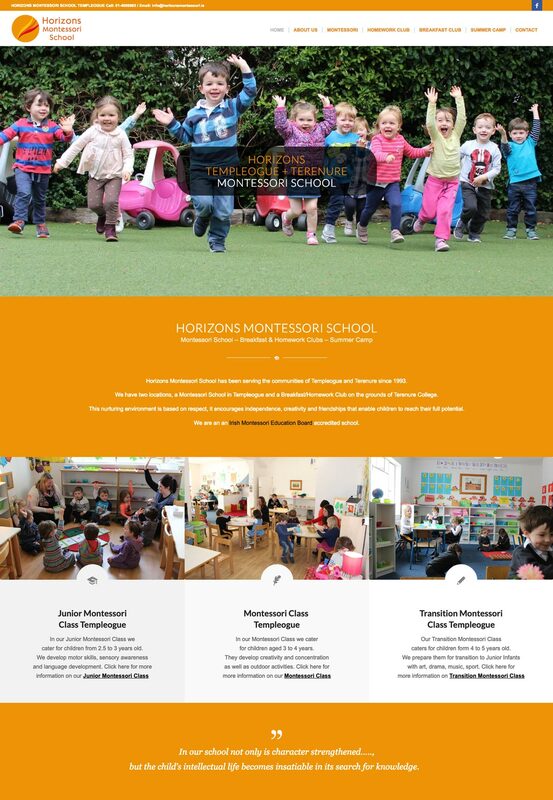 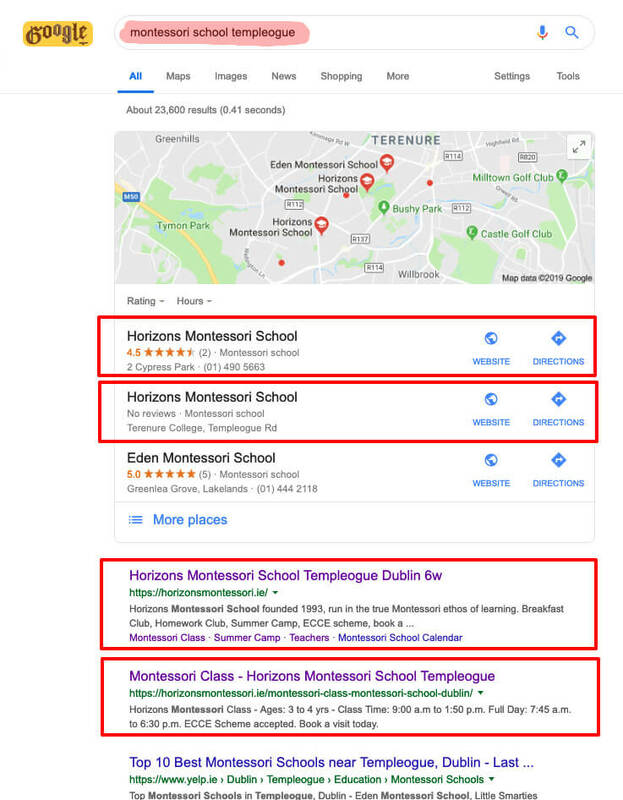 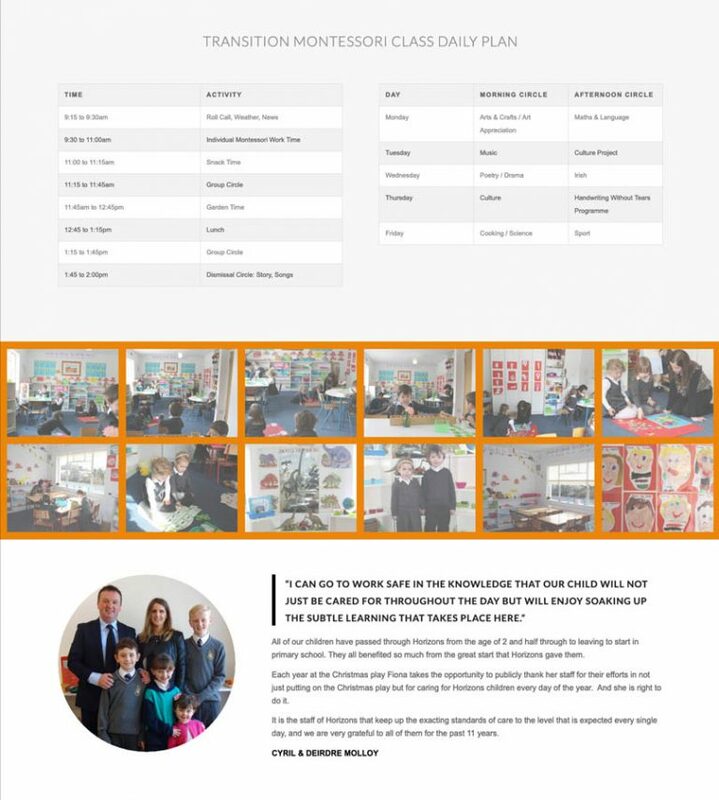 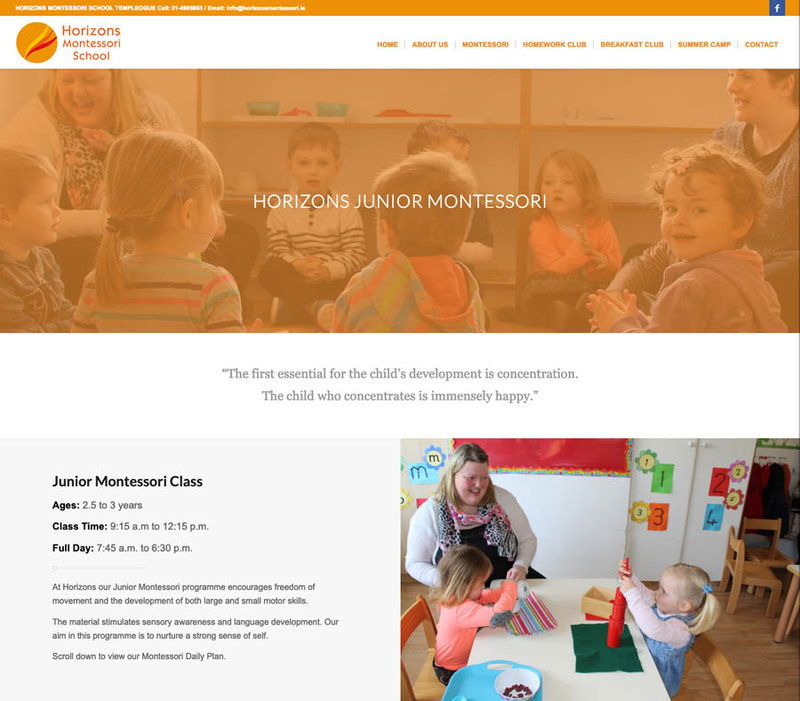 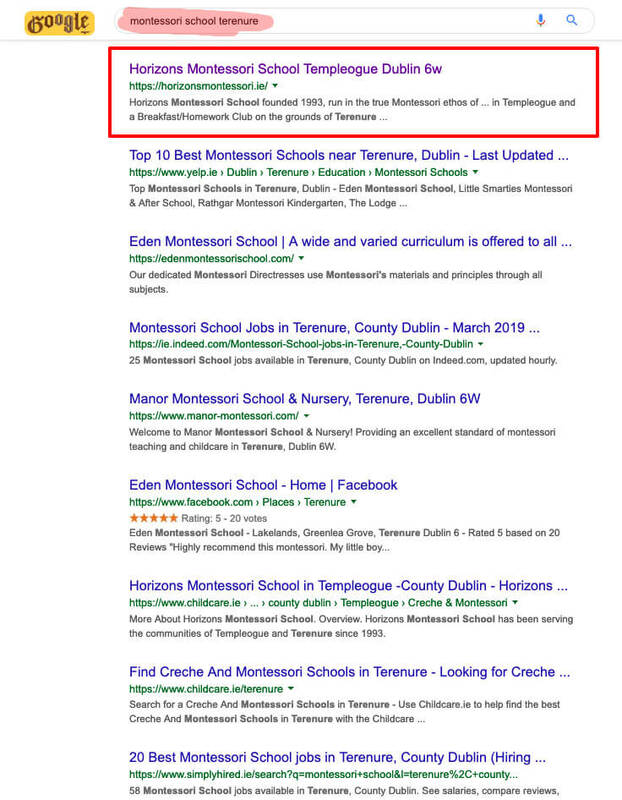 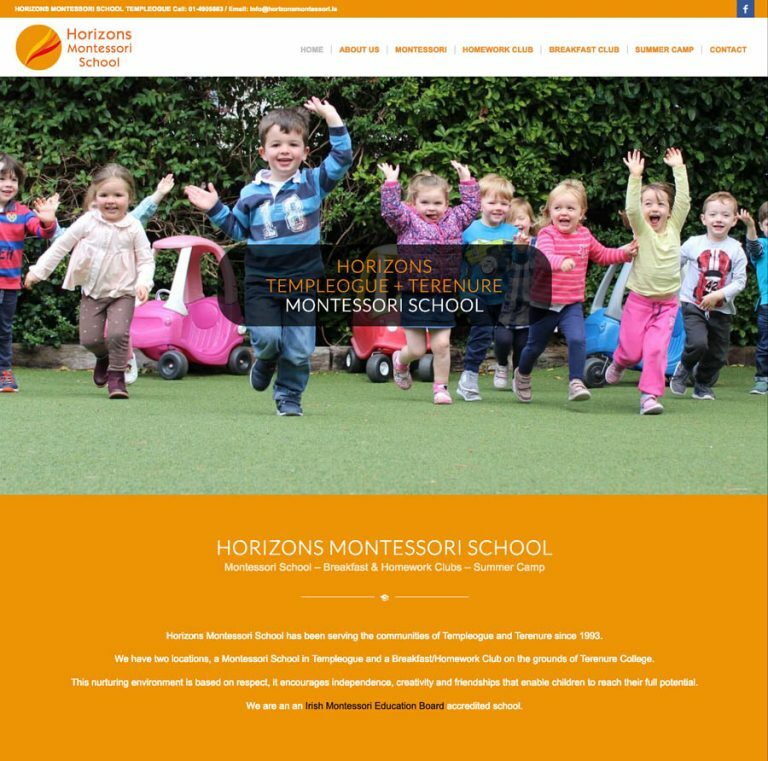 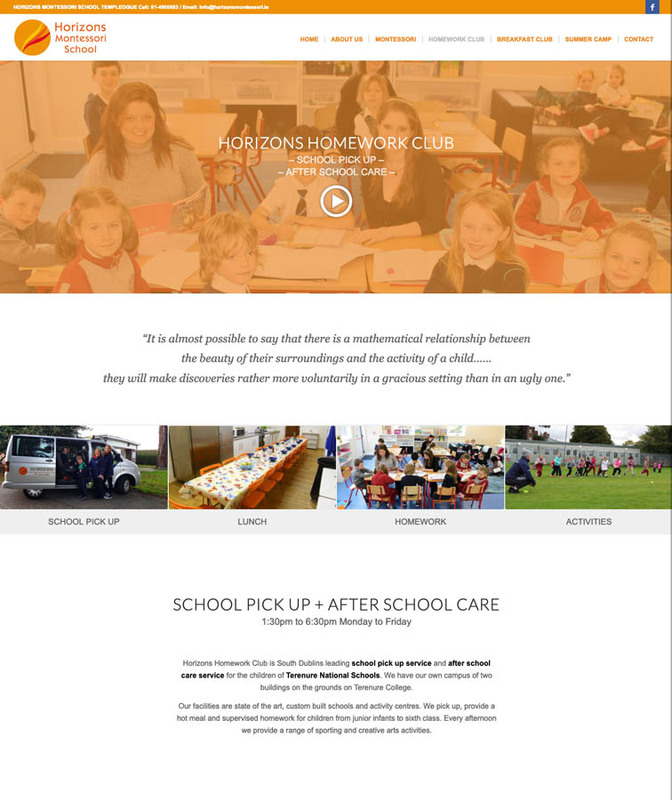 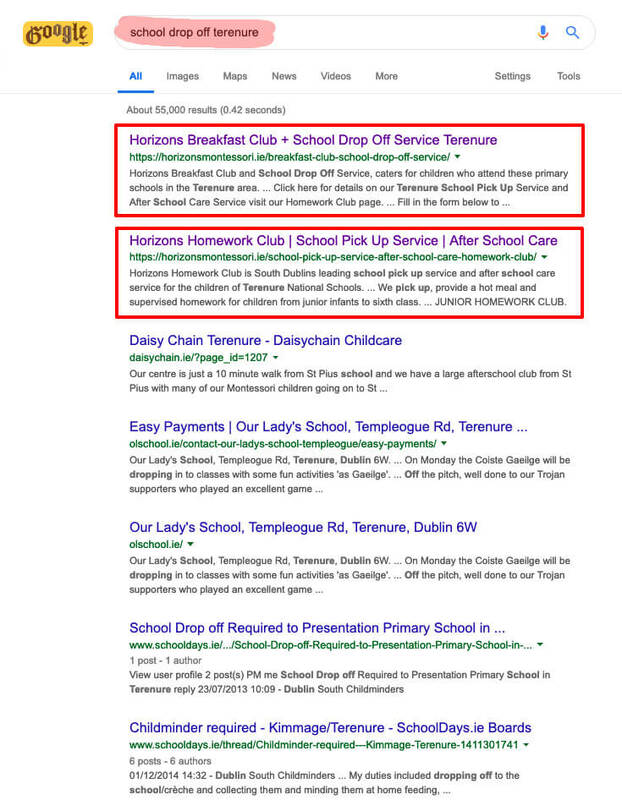 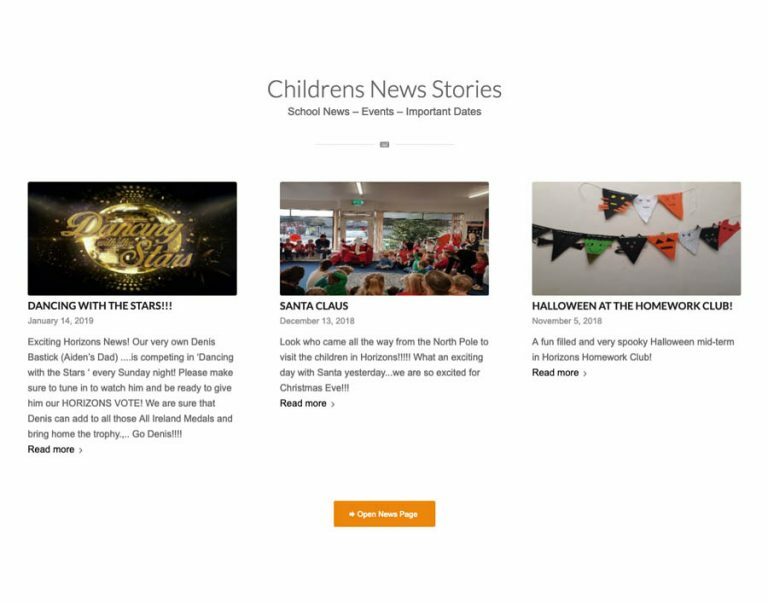 When a prospective parent types a keyword phrase like “Montessori School Templeogue” into Google, Horizons is competing with other schools to appear at the top of the results. 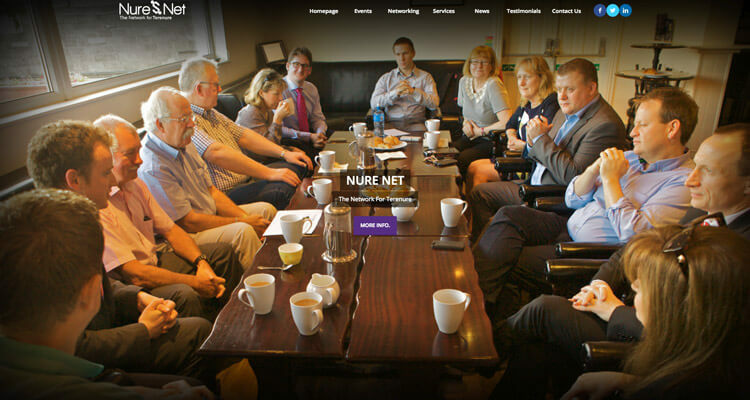 “Our website gives us a clear marketing advantage online, ahead of all our competitors. 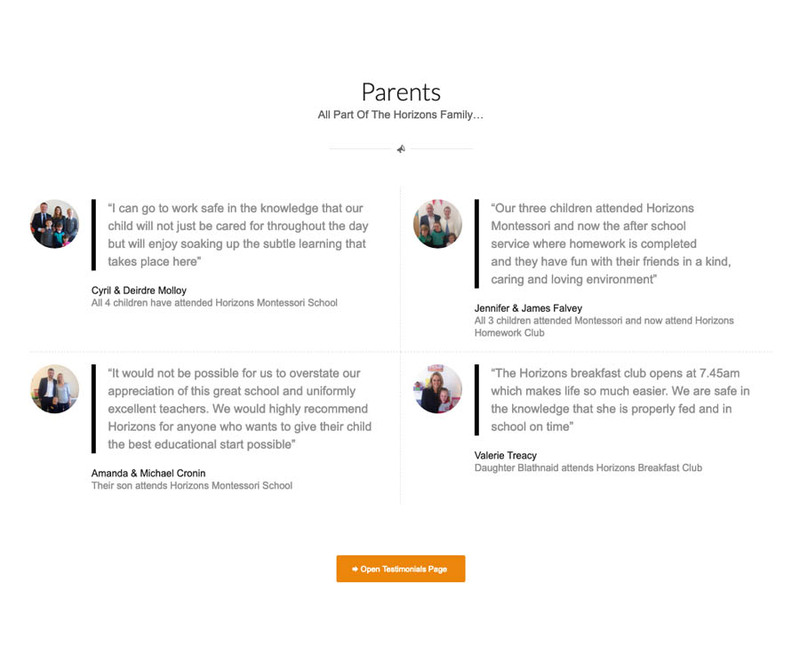 Every new parent mentions how helpful it is. 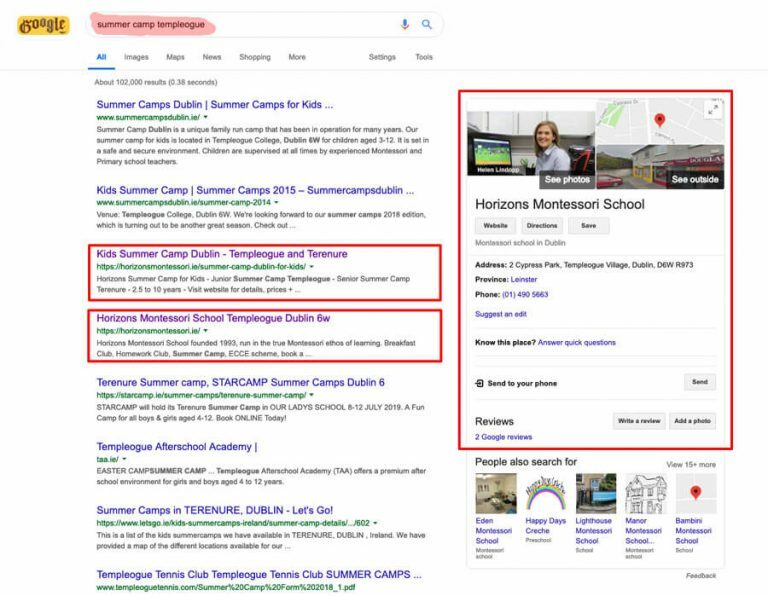 High Google rankings have been important tools in helping to showcase our school and expand our Montessori, Summer Camps, Breakfast and Homework Clubs. 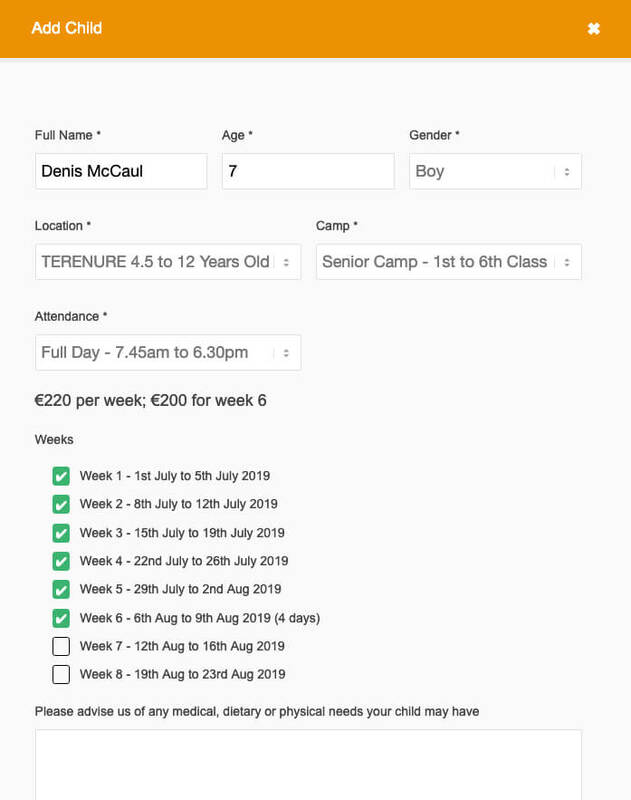 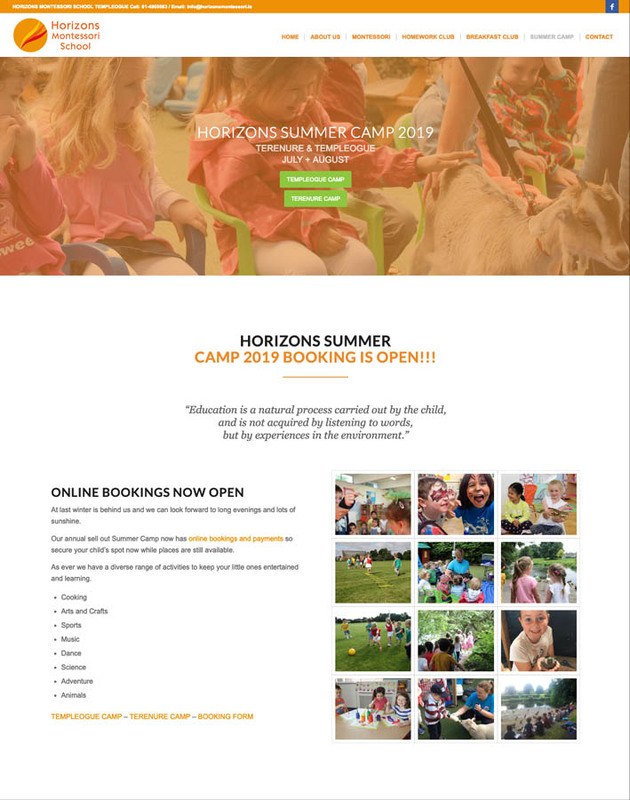 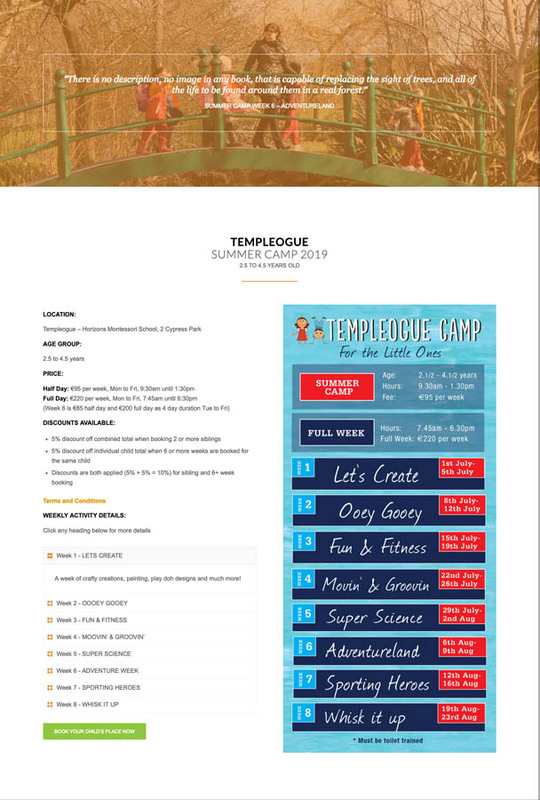 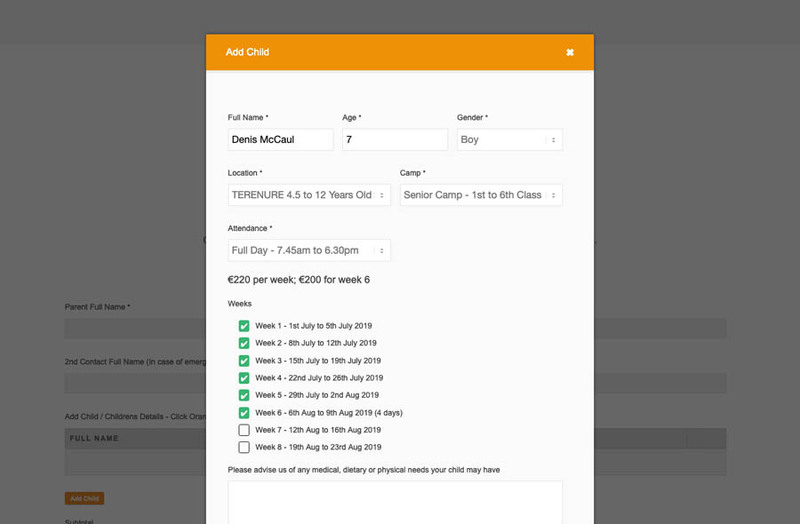 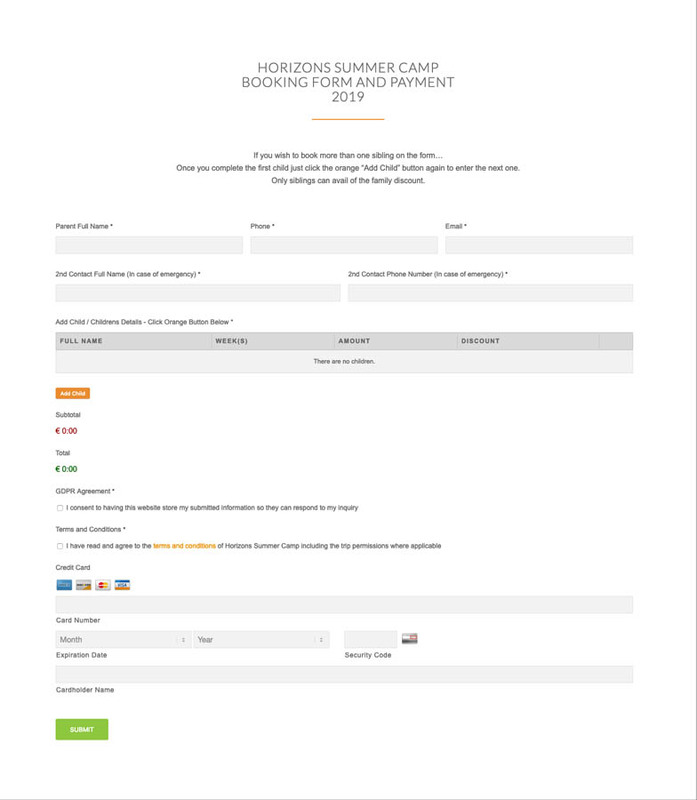 We now have payment and booking for Summer Camp on the website which has been successful beyond all expectations. 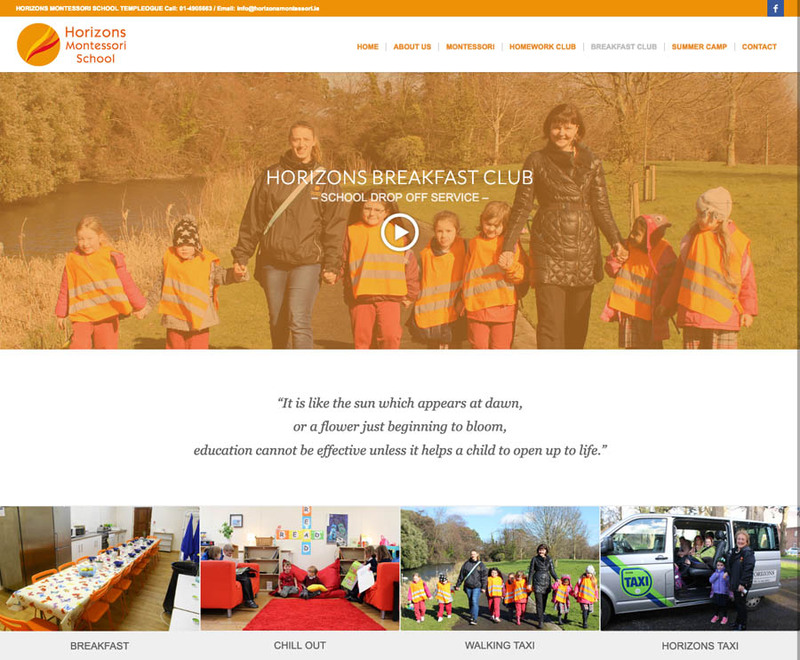 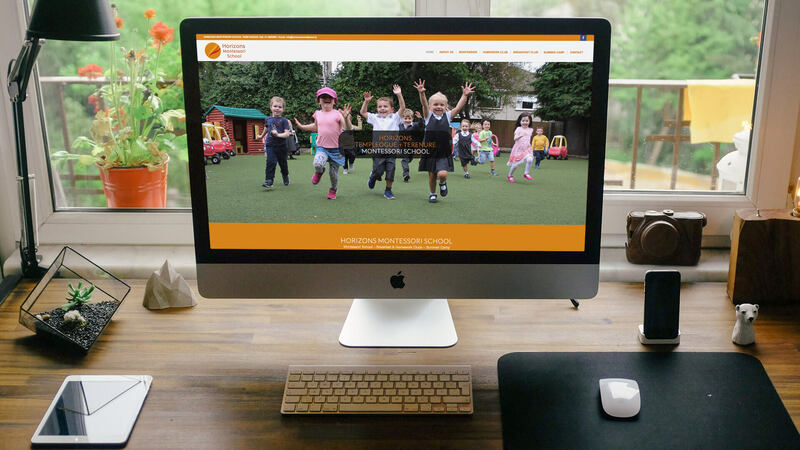 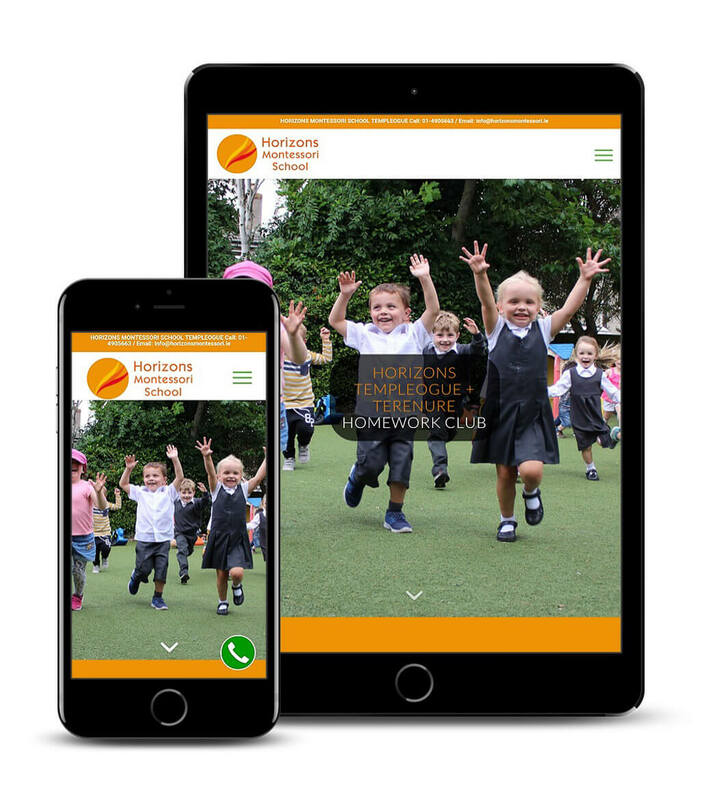 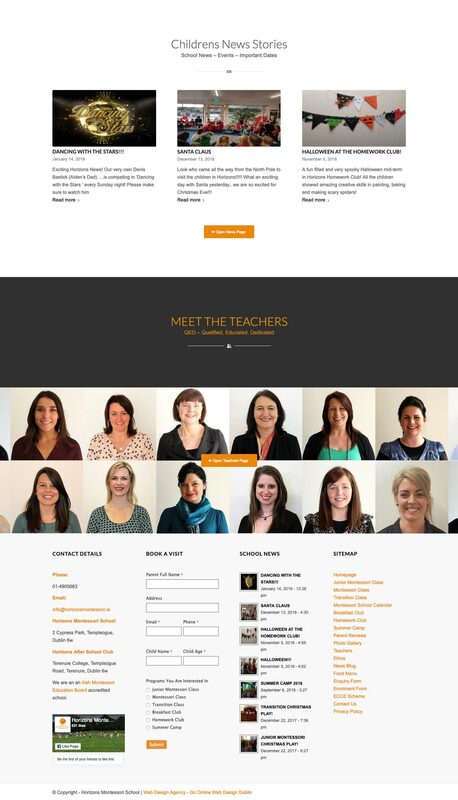 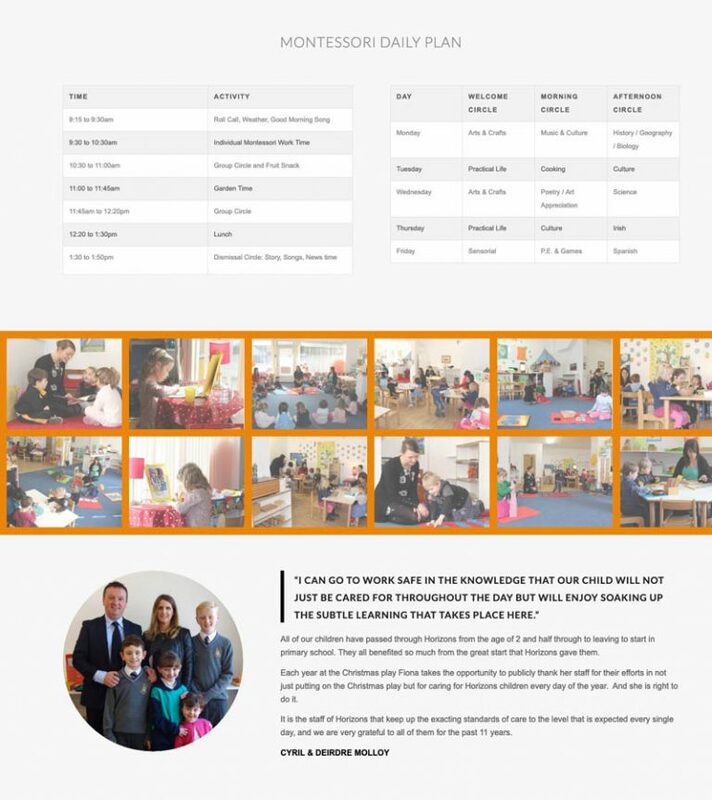 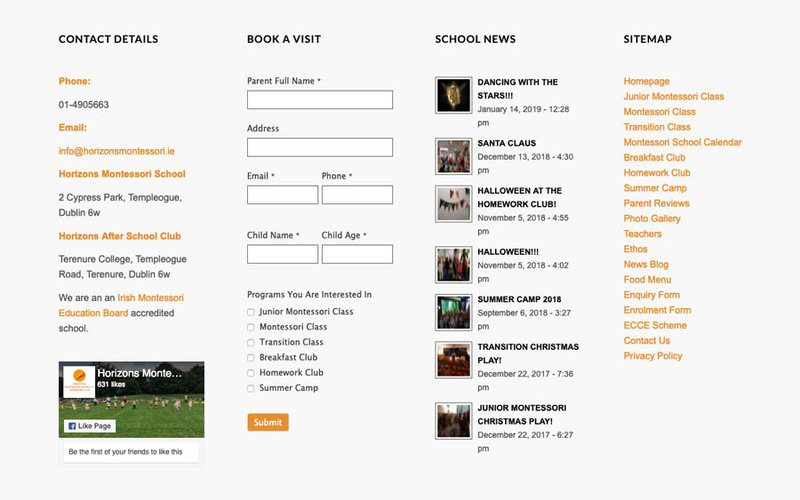 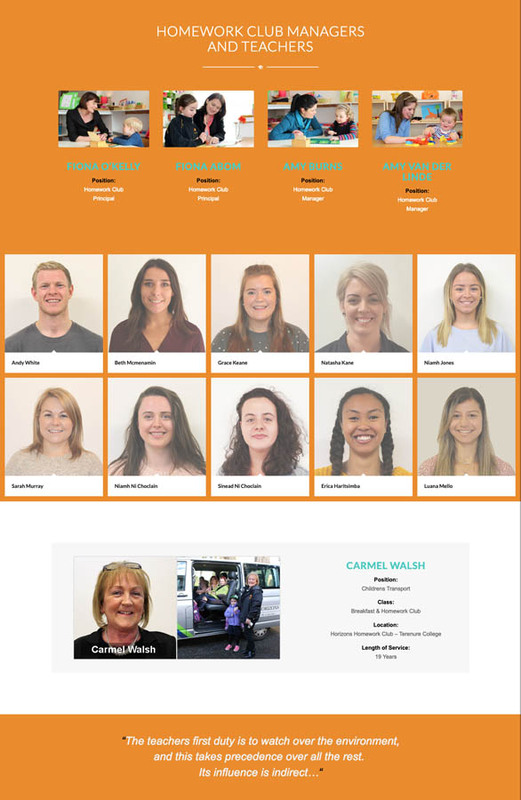 Hundreds of prospective parents have booked school visits through our website. 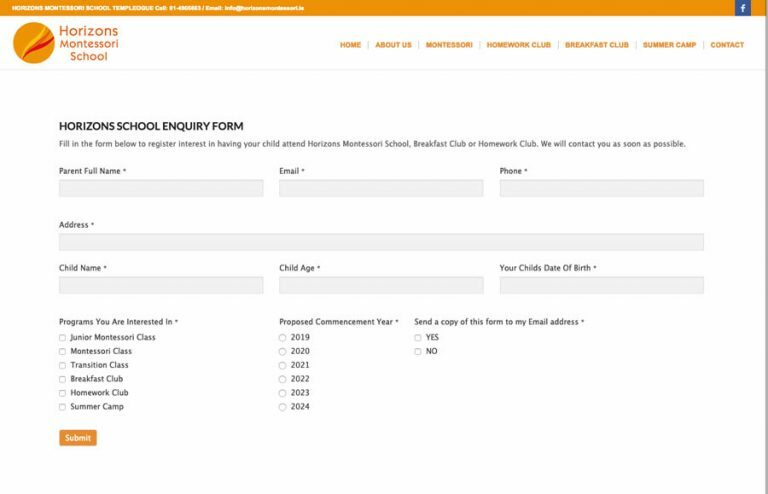 We also had new email accounts set up and configured on our computers and phones.